Woo hoo, Friday! Thanks for coming out to play with me this week. I really enjoyed reading the fun comments on the new hunk in the house. 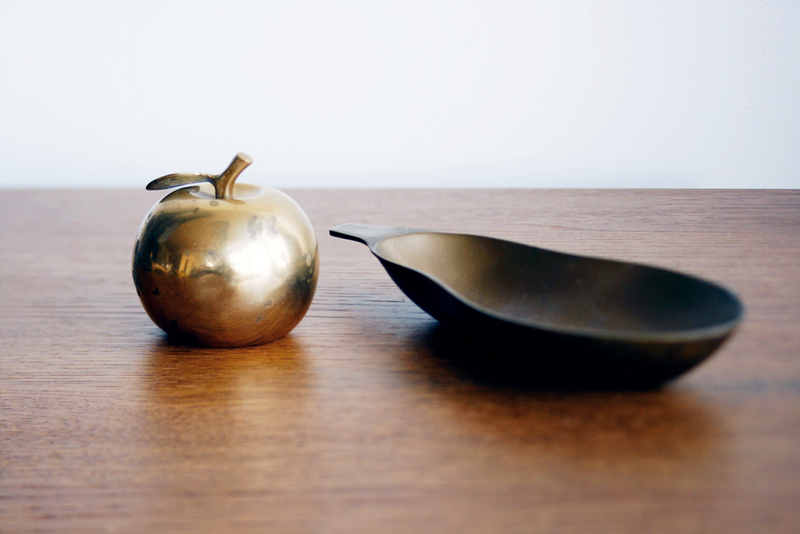 I just found this brass apple bell and brass pear dish from the thrifts. The apple is a little bruised but it still has a nice, sharp ring. Beatrice is excited about it. It's her new, time for snacks cue. And I made a quick video to show you her cute snack dance. That's all. Have a wonderful, fortuitous, thrifty weekend, my vintage vultures!